Flipped Learning Day 2013 is Friday September 6. It’s back-to-school time, a fresh start for everyone. Along with new school clothes, kids get to “try on” cooler, more grown up versions of themselves. And teachers get to try on new ideas for the classroom. For many, this means finding ways to include technology in the curriculum. From newbie to tech-spert, there’s always uncharted territory to explore. 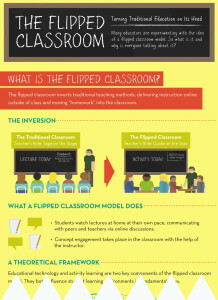 Unless you’re teaching in a cave, you’ve probably heard of flipped learning, by now. 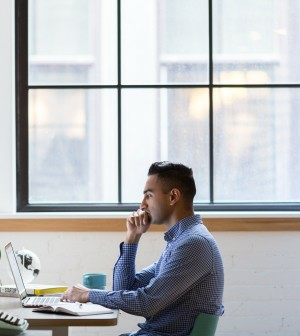 In a nutshell, flipping refers to upending the traditional lecture/homework approach by providing basic instructional content in video format, for students to consume at home at their own pace, and using valuable class time to tackle assignments. Over time, this moves the teacher out of the front of the classroom, and into more of a coach or guide role. The learning environment becomes student-centered, rather than teacher-centered. The first annual Flipped Learning Day is this Friday, September 6. How will you celebrate? 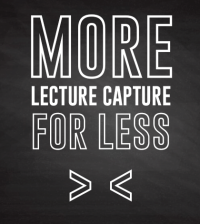 Maybe you will simply learn a little about flipped learning. Maybe you will flip a single lesson. Maybe you will take it a little further. Read on for ideas. Not ready to jump in, just yet? Want more details? Listen to last week’s Education Talk Radio podcast, featuring Flipped Learning Network executive director Kari Arfstrom. This episode is sponsored by Ensemble Video, and Kari provides a great intro to flipped learning and Flipped Learning Day. Click around the Flipped Learning Network website, which aims to provide educators with the knowledge, skills, and resources to successfully implement flipped learning. 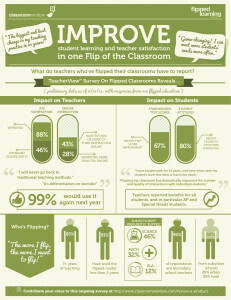 Join the network’s flipclass chat, to see what others are saying about flipped learning. Search the hashtag #flipclass on Twitter. Just like any classroom, the most successful flipped classrooms are guided by teachers who are constantly learning and reevaluating their approach, and sharing their experience with other teachers! One of our favorite Ensemble Video users, eighth grade science teacher Jasper Fox Sr., observed on his blog, “Teachers work in a vacuum. It is unusual that in our profession, we rarely (if ever) see each other in action.” So true! If you’re lucky enough to have a flipclass pioneer in your school, latch onto them. If not, find some online mentors. Many flippers are eager to share their experience with newbies, and many are active bloggers. Check out Jasper Fox Sr.’s Ensemble Video Playlist, to get an idea what kind of videos he’s creating. Notice they’re not polished, highly produced, or rehearsed. They’re communicative and personal. Sometimes, Jasper sets up a device (digital camcorder, smartphone, tablet, webcam, etc.) in front of his lab table and walks students through an experiment. Other times he just turns his smartphone on himself, when he recognizes a teachable moment outside of class. Flipping your class is about reaching students, not winning an Oscar! Chances are you already have everything you need to make a simple instructional video. It’s as simple as pulling your phone out of your pocket, clicking record, and talking to your students. Then, all you need is a way to deliver that video to your students. There are free services like YouTube and Vimeo, which are a great starting point. Eventually, you may run into privacy and security concerns, or your school/district may realize the value and power of a central video content management system, like Ensemble Video. 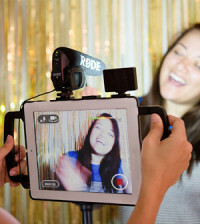 There are countless great free and low-cost video creation apps and programs that offer an easy way to add simple graphics, screencasts, narration, closed captioning, and other bells and whistles to your videos. In honor of Flipped Learning Day, our partner TechSmith is offering Snagit at a discounted price. Snagit gives you all the tools you need to create eye-catching images and videos for easy sharing. “Snag” any image and enhance it with effects, or create a quick video of your computer screen. Check out TechSmith’s quick, easy step-by-step guide to flipping a lesson using Snagit. Use the promotional code FLIPDAY13 through September 20, to redeem your discount. Upload your finished project to Ensemble Video! Creating a screen recording using the Ensemble Video integration with Camtasia Relay really couldn’t be easier, so it’s a great place to start. Create and publish in just a few clicks (once the Camtasia Relay/Ensemble Video integration has been configured – view guide here). Check out our quick video tutorial, below, or view the Publish Video from Camtaisa Relay PDF on our support portal. iPad and iPhone users can use the Fuse app with Camtasia Relay to record and upload straight from their device to the Ensemble Video platform. 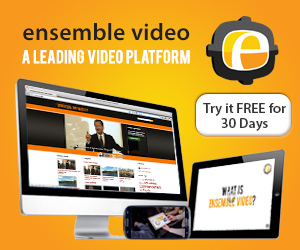 View the Use Fuse for Camtasia Relay to Publish to Ensemble Video help document on our support portal. Want to try before you buy? Although personal videos are always better, there are some great ready-made flipclass lessons available for you to try. To celebrate Flipped Learning Day, the Flipped Learning Network has partnered with several education-focused organizations, like PBS LearningMedia and Project WET, to provide a collection of flipped lessons, complete with videos, resources, and assignments. Check them out here. 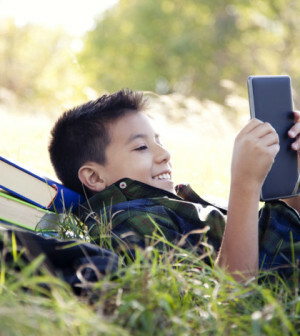 Check out The Flipped Classroom: A Student’s Perspective, written by a flipclass teacher and advocate Jon Bergmann, and and his daughter Katie, for Pearson. Consider Katie’s first-hand experience as a student who has participated in multiple flipped learning environments. There’s also a short video where Jon articulates why flipping his classroom makes sense to him. Everyone loves a good infographic. Take a few minutes and mull over the eye candy we’ve collected for you, and give flipped learning a try! Take the Flipped Day pledge today!